Central Connecticut Jaguars runner and Manchester resident Aidan Puffer set the world record for 11 year-olds on the track on Saturday night in Waltham, Mass. Aidan is USATF member of the CT Jaguars youth track & field club and also trains with Manchester Running Company’s running club in his hometown. 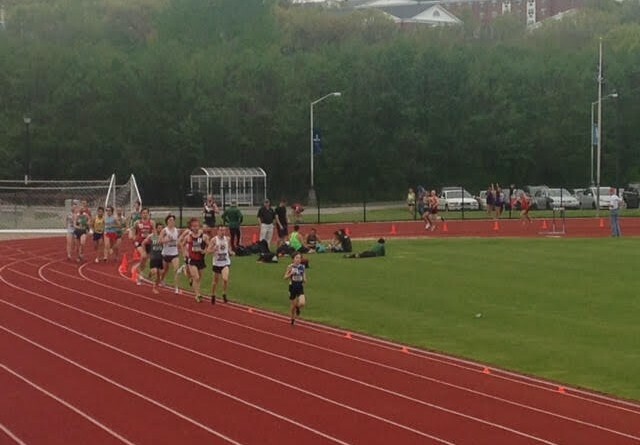 Puffer ran an impressive 17:06.05 for the 5k at the New Balance Battle Road Track Club Twilight Series #1 meet in misty and chilly conditions on Saturday, May 14th. In a field of 40 runners, Puffer held his own with some of the best runners of the collegiate ranks in the northeast; he finished 12th in the second heat and 32nd overall, in a field of mostly adults and college runners. Puffer’s time bested the previous world record of 17:06.93 set in South Africa. Aidan took care of the record just one week before his 12th birthday.